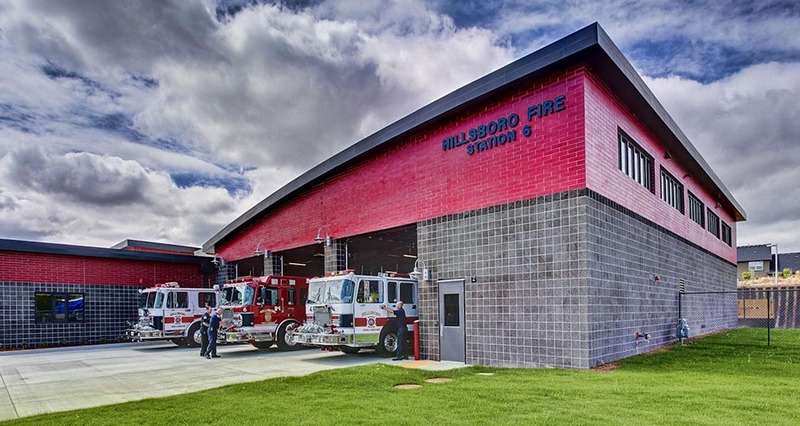 Mackenzie provided full architecture and engineering services to the City of Hillsboro for two new “sister” fire stations, Cherry Lane and Jones Farm. 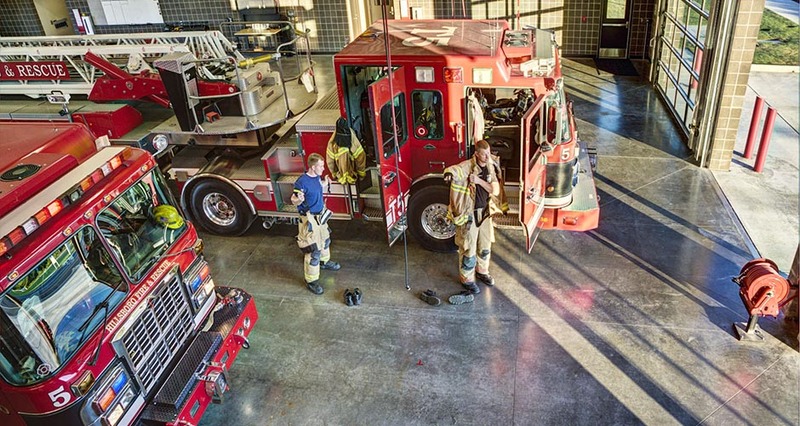 The stations feature similar floor plans with three apparatus bays each, training rooms, office space, and volunteer facilities. 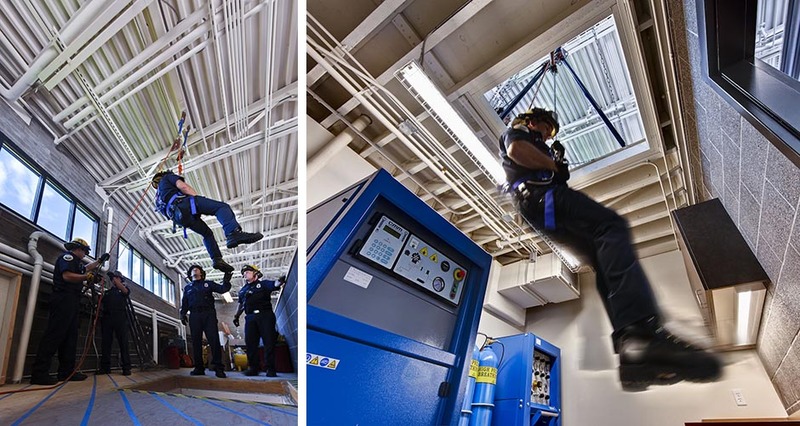 The apparatus bays feature integrated components for rope rescue training. 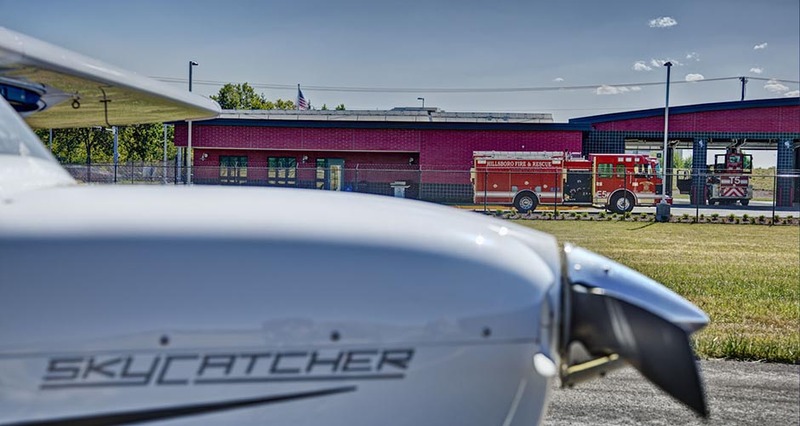 Cherry Lane is the larger of the two stations at 16,672 SF, while the Jones Farm Fire Station encompasses 13,400 SF and serves the area around the Hillsboro Airport. 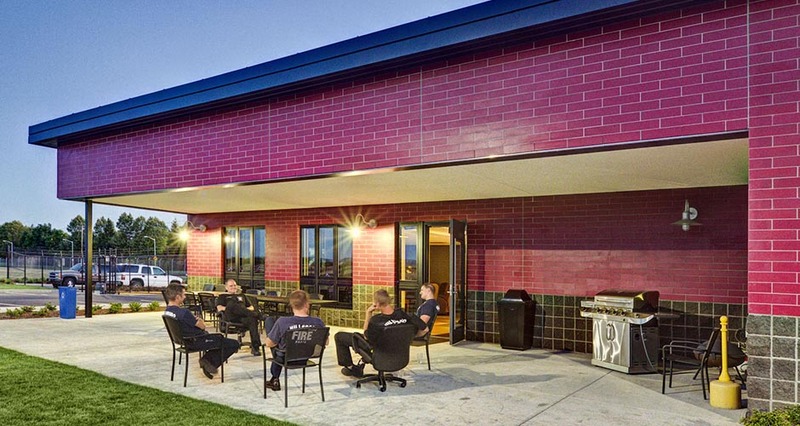 The buildings are designed with masonry block shells and curved metal roofs suited to their relatively industrial contexts. Photovoltaic panels are incorporated and one of the key components of each building’s sustainable design. The buildings both achieved LEED Gold certification, with a one-year return on investment for the implemented sustainable strategies. The stations were designed concurrently but bid and constructed separately, both due to funding considerations and longer review timelines associated with land use approvals for the Jones Farm Station due to its location at the airport. 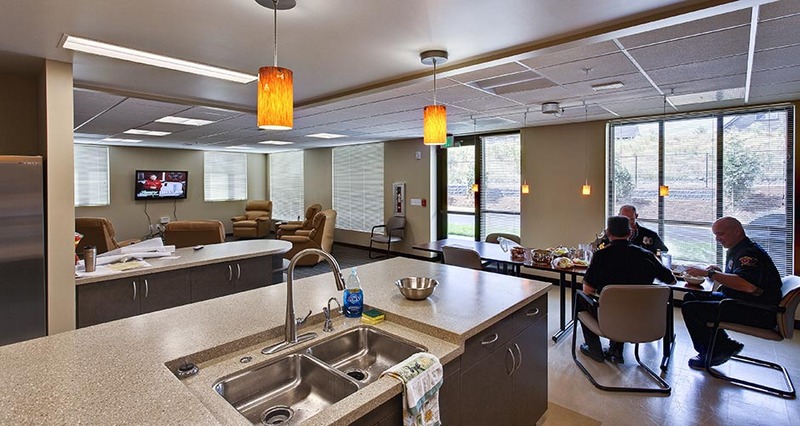 Construction on Cherry Lane began November 2009 with occupancy in summer of 2010. Construction on the Jones Farm Station was completed in 2012. 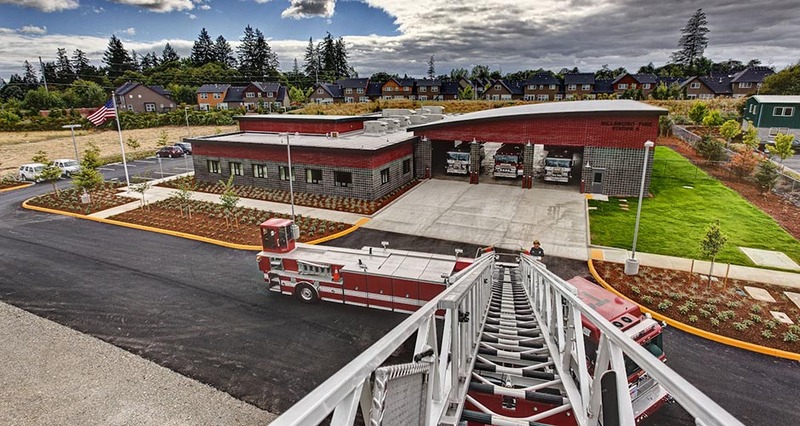 The Jones Farm Fire Station received federal grants and other stimulus dollars, in part due to careful coordination between the design team and City to ensure that all of the requirements of the grants were being met and that the project documents were easy to review for grant consideration/award.